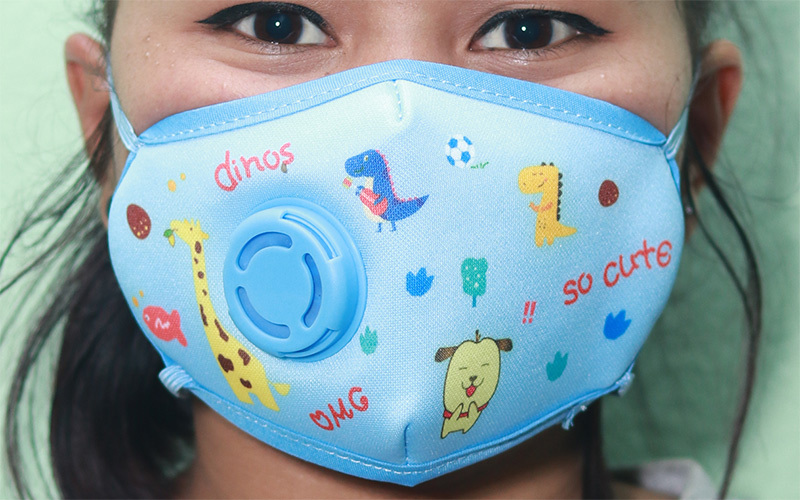 Minimum quantity for "N95 Cartoon Printed Dustproof Face Mask For Kids" is 1. Protects from : Fine particulate, pollen, dust and other air pollutants that cause allergy, asthma, chest infection, lungs cancer, memory lapses, depression, eye, skin, heart, kidney and many other problems. 5 layers of filters with activated carbon filter. Gently push the nasal splint to ensure it is airtight. Wash the mask once a week or when necessary with mild detergent and air dry, do not bleach. Do not wash the filter and replace at least in 15 days or when necessary.